In a word - you've got to be extraordinary. Established in 1992, the Leascar Group is one of Israel's leading leasing companies, carrying out thousand of automotive leasing transactions for a wide range of customers. 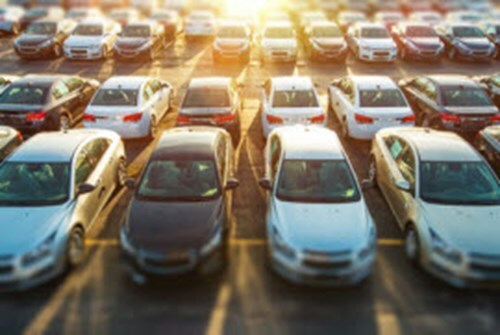 Leascar offers the entire range of operational and financial leasing options -- flexible and tailor-made for each client. The company is a true "one stop shop", handling trade-ins, accessory installation, automotive armoring, insurance, maintenance -- and even fueling services. To be extraordinary you have to be attentive to your customers' needs - offering friendly, readily available service on the highest level. Every Leascar customer receives personal attention from customer relations managers trained to provide precise, professional responses to every need that arises. The Leascar Group enjoys long-term stability, an outstanding reputation and financial strength. It's in constant motion, growing and expanding its business. Leascar customers include private and public companies, high-tech industry, local government, kibbutzim, professional people and private individuals. Leascar's dedicated, loyal team of employees has been with the company for years. Its satisfied, loyal customers bring in new referrals and provide a solid basis of repeat business. Leascar: extraordinary - for you. Main office: 72 Hahistadrut Blvd., P.O.B 33587, Zip 31334, Haifa Bay, Haifa, Israel.